Great! 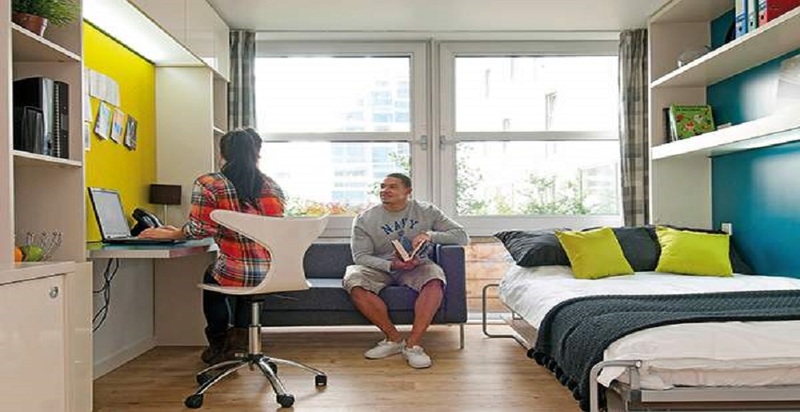 You’ve decided to study at Coventry University London Campus, now you just need to find somewhere suitable to live. As you’ve decided to study in the fantastic city of London, you have lots of variety….and probably lots of questions too. What are your options? Option number one – Halls of residence. Student accommodation comes with many benefits- It’s a great way to meet new friends, your normally allowed guests to stay round, there are plenty of games rooms/ gyms and wifi to keep you entertained, and most importantly you don’t have to start to work out who is going to take responsibility for paying all the separate bills at the end of the month. The London Campus has listened carefully to what our students have had to say over the past few years and our accommodation team have put selected nine student accommodations which we think you’ll feel at home in. These accommodations cover everything from studio rooms to cluster flats, so if you’re in the area why not arrange a visit with a few that tickle your fancy! If this option has already been snatched up, not to fear – we have other options available. One of the best things about moving to London is that there is always someone looking to rent a room somewhere. You can find a room in as little as three days to three weeks! There are a number of websites including Rightmove, Zoopla and Spareroom which offer new lettings on a daily basis. We also work with Fields and Son estate agency to help you when looking for a place to rent. If you still are undecided as to what is best for you, DON’T PANIC! Our Student Services team are on hand to help answer any questions you may have and to help advice you as best as we possibly can. They can be contacted at: accommodation@culc.coventry.ac.uk or call +44 (0) 24 7765 1018. ← On the 12th day of Christmas, London gave to me…..